Counting calories? Want to wear those pants that used to look so good on you? Here’s a neat little diet trick! Made with skim milk, Ben d’adon! 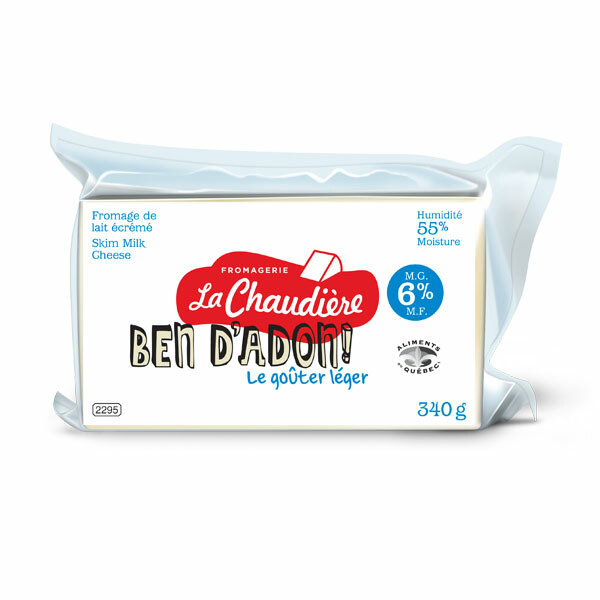 contains only 6% fat and features the same great taste and flavor of regular La Chaudière cheeses. So go ahead and satisfy your guilty pleasure. Your scale won’t feel a thing!